Ana Saenz Bernal's favorite subject in school is ELA and she loves to read. Her favorite books are the Divergent series. Ana plays guitar and wants to join Mariachi Aztlan at Pueblo. She has been studying photography in high school as well. Ana is part of an art program that ranges from drawing to refinishing furniture. 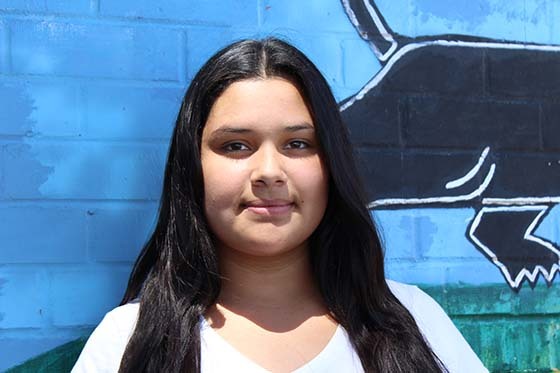 After she graduates, Ana's goal is to be in the medical field in the armed forces.